Our mission at Environmental Home Solutions, Inc is to give our customers the highest level of quality service and convenience. To this end we will expend whatever time, energy expertise and resources are necessary. We will give our customers full value for their money each and every time we provide service. 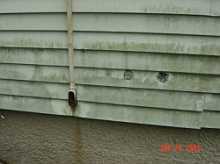 the siding, flashing and trim; all exterior doors, decks, stoops, steps, stairs, porches, railings, eaves, soffits and fascias; and report as in need of repair any spacings between intermediate balusters, spindles, or rails for steps, stairways, balconies, and railings that permit the passage of an object greater than 4 inches in diameter; a representative number of windows; the vegetation, surface drainage, and retaining walls when these are likely to adversely affect the structure; and describe the exterior wall covering. Electricity is an essential part of our lives. However, it has the potential to cause great harm. 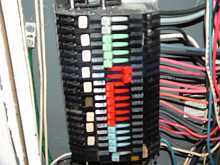 Electrical systems will function almost indefinitely, if properly installed and not overloaded or physically abused. Electrical fires in our homes claim the lives of 485 Americans each year and injure 2,305 more. Some of these fires are caused by electrical system failures and appliance defects, but many more are caused by the misuse and poor maintenance of electrical appliances, incorrectly installed wiring, and overloaded circuits and extension cords. For some safety tips to remember click on the picture. 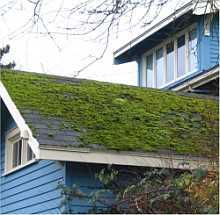 Most homeowners do not understand the full meaning and benefits of proper attic ventilation. There’s also a lack of understanding in how to properly size and position roof vents for an adequate air flow under the roof cavity. Proper ventilation is absolutely necessary and vital, not only to the health and well being of every home, but also to every home’s occupant. Anyone who has been in an attic knows that attics get very hot! If the heat in the attic is allowed to sit there and not ventilate, it will conduct heat into the house, or, at the very least, prevent the heat in the house and attic cavity from escaping. 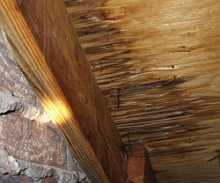 Without adequate ventilation, your home will encounter problems such as rapid shingle deterioration (from melting), mold build-up throughout the attic, wood rot and delaminating sheathing, mildew, peeling exterior paint, rusty nails, energy losses, and many other problems that are often the direct result of inadequate attic ventilation. Wood boring insects such as Termites and Carpenter Ants are attracted to moisture buildup that is often caused by any inadequate ventilation. 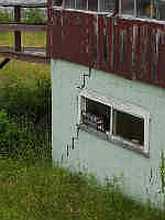 Foundations types are either full basement, slab-on-grade, or crawlspace. Deep frostlines and low water tables often make a full basement the primary foundation of choice. However, slab-on-grade with walkout basement construction is common, and home additions often have crawlspace foundations. The word foundation is a timeless metaphor of strength and security, and people quite naturally have genuine concerns about the foundations on which their homes rest. For this reason, people need to be educated about foundations in general and specific types in particular. Be properly sized to provide correct air flow, and meet room-by-room calculated heating and cooling loads. Be installed so that the static air pressure drop across the handler is within manufacturer and design specifications to have the capacity to meet the calculated loads. Have sealed supply ductwork that will provide proper air flow. Be installed with a return system sized to provide correct return air flow. Have sealed return ductwork that will provide proper air flow to the fan, and avoid air entering the HVAC system from polluted zones (e.g., fumes from autos and stored chemicals, and attic particulates). 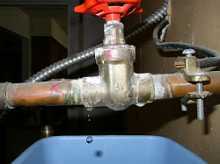 Have balanced air flows between supply and return systems to maintain neutral pressure in the home. Minimize duct air temperature gain or loss between the air handler and room registers, and between return registers and the air handler. 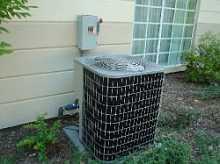 Be properly charged with refrigerant. Have proper burner operation and proper draft.